Attend the ONLY show that brings together music, sound and event technology. The 2018 expansion of The NAMM Show in Anaheim, California will feature a dedicated event technology exhibit hall and offer a series of FREE, industry-curated educational sessions in partnership with ESTA, Front of House, Projection, Lights, and Staging News, Stage Directions and Lighting&Sound America. Attendees will have a unique opportunity to identify new products and solutions in a trade show environment that recognizes the value of collaboration between the production and performance fields, participate in community events like the Parnelli Awards, and experience a diverse lineup of live music performance that are a hallmark of The NAMM Show. 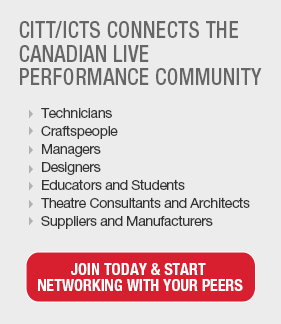 ETCP credit are available—FREE—via the education tracks curated by ESTA that focus on safety, lighting, lighting Networking and rigging, as well as the USITT Electrical Workshop. In total, The NAMM Show the ideal platform for event technology professionals to expand their knowledge, skills and network. Register using promo code ESTA18NAMM for a special $25 rate.